Unfortunately, the stresses of a military marriage far outweigh a regular marriage, and in many cases the pressures and circumstances lead to a divorce. When this is the only option left, it is important that you have legal representation that understands the rules regarding military divorce. Many of the same issues exist in a civilian divorce, such as child custody and visitation, division of assets and debts, and alimony. These, however, can increase greatly in severity when dealing with the circumstances that surround military personnel. Military divorces are not simple – no matter when considering the people in question or whether you are dealing with the geographical location, it can be complex to try and wade through all of the nuances that surround these divorce cases in particular. When you are seeking a Jacksonville military divorce lawyer, it is strongly urged that you contact Hutchinson Law to assist you in the legal process. The team at the firm has years of experience in both military and civilian divorce proceedings, and will assist those who are facing divorce while a member of the military. 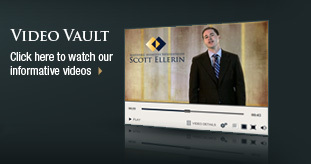 We know what you are facing and we are prepared to do everything that we can to help you navigate through it. 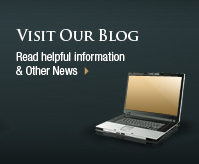 Click here for a military divorce evaluation. There are the same grounds for a military divorce as there is for any marriage dissolution proceedings in Florida: either your marriage is irretrievably broken, or your spouse is mentally incapacitated. An attorney at the firm can assist you with the legal aspects of your divorce, using a solid understanding of the rules and laws regarding military pension division as well as other laws that could come into play when members of the military legally dissolve their marriage contract. As a service member or spouse of a member of the Air Force, Army, Marines, Navy or Coast Guard, you may have a number of questions pertaining to your divorce. There are specific matters that may come up because you or your spouse is in the military, and it is important to work with a lawyer who understands how to address these. For example, you may have questions about VA disability and divorce, military family support or how your retirement benefits will be affected. You may be dealing with a case involving domestic violence, child custody, or a paternity dispute. A skilled attorney can address all of your concerns, offering you applicable information that helps you make the right choices about your case. This can make a considerable difference in your ability to take the right approach and therefore reach a resolution that is in your best interests. There are specific residency requirements for a military divorce in Florida. You must have been a resident of Florida for at least six months or be stationed in Florida in order to legally qualify for a divorce in the state. It is important to your life and future that you protect your rights with a knowledgeable military divorce lawyer. 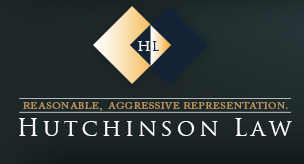 Hutchinson Law has long experience in assisting military personnel in family law matters including divorce, and will protect the client's rights in the divorce with regard to the separation of property, military pension issues and child custody and visitation as well as alimony. Even when the former partners are on good terms, it is still strongly advised that you have legal representation, as the decisions made will affect you and your children for years into the future. It is important that you have legal counsel to advise you of your rights, and to help you avoid any pitfalls that occur due to lack of understanding of divorce law and the military rules that pertain to it. The firm has the highest respect for all military personnel and understands the stresses that are faced on a daily basis when a member of the armed forces. Every effort will be made to have your divorce resolved quickly and without adding to an already emotional situation. Contact a Jacksonville military divorce attorney at the firm today if you are seeking a qualified lawyer to protect your rights and future.